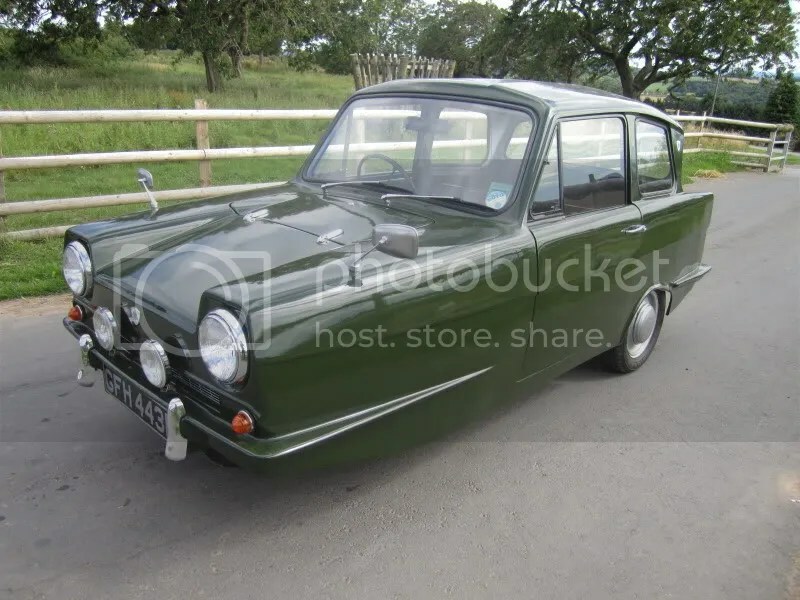 Reliant cherry popped – HubNut – celebrating the average! Yesterday was a very important day for me. I popped my Reliant three-wheeler cherry! And how. Thanks to Joe Mason at Reliant Spares, I finally experienced the slightly-unbalanced world of plastic Staffordshire motor cars. I enjoyed the experience very much indeed. We began with a Reliant Regal. Makes sense. This car was an enormous leap forward for Reliant, with pretty Ogle-designed plastic bodywork and Reliant’s own four-cylinder, all-alloy engine. The engine was necessary so that Reliant could finally move on from using licence-built Austin Seven side-valve units. Knowing that low weight was essential, the company bravely decided to opt for an all-alloy construction – very brave at a time when most other British car manufacturers were nervous about using even just an aluminium cylinder head. What struck me about the Regal was how iffy the build quality was – the doors banged on every bump – but also how perky and stable it was. With such light weight, power just isn’t necessary. It was also very noisy – the result of the engine effectively sitting in the cabin. The rear-ward mounting of the engine is one thing that helps keep the car stable. We then moved up to a Robin, which felt very different indeed. Quality was definitely improved and the tiny steering wheel made it feel somewhat like a dodgem. It was much quicker too and thankfully also quieter. I was entirely charmed. Within a mile, you forget that you’re in a ‘different’ car, well apart from the expressions on the faces of people coming the other way. You don’t have to constantly worry that the car might fall over though. They really are stable and capable of cornering much more quickly than you expect. The only problem seems to be that Reliants aren’t cheap anymore. I should have bought one years ago!